Check the circuit breaker and make sure you have 120v at the outlet, Hoss. Fuse blown in the control panel. Sounds easy and it is if you know how to take the thing apart without getting your gluteus flabbeous shocked off by the capacitor in there that holds 2,000 volts (yes, even with it unplugged). Have fun, Homer. Control board fried. Test for power going to board. If exists, problem lies on board somewhere. On the GE/Hotpoints using the "smartboard," it is sometimes possible to locate a bad soldering connection on the board that can be repaired, restoring function to the board. Otherwise the entire board must be replaced. Microwave seems to run but does not heat. Magnetron is fried. Resistance between the magnetron terminals should be less than 3 ohms. Resistance from the magnetron terminal to ground should be infinite. Fried HV capacitor. Use your ohm meter to test it. Fried control board. If power is going to the board but not going off to the other components, the board is bad and needs to either be replaced or track down the bad connection (GE/Hotpoints). HV Rectifier is shorted or open. Test forward and reverse bias with a megohmmeter. If continuity in both directions, rectifier is shorted, replace. If no continuity in either direction, rectifier is open, replace. More help on testing specific components inside your microwave oven in this handy chart. Microwave sparks while in use. You let grease accumulate on the oven ceiling and this starts frying during use. Clean up your act! Microwave stirrer is not working because either the blower motor is fried or the stirrer belt is broken. Without the stirrer, microwave energy will concentrate on one part of the oven and cause burning, sparking, etc. Again, the HV Rectifier is shorted or open. 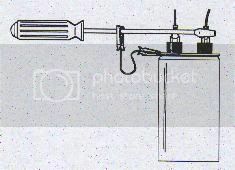 Test as described above. Specific repair help for most American-made brands. To learn more about your microwave or to order parts, click here. 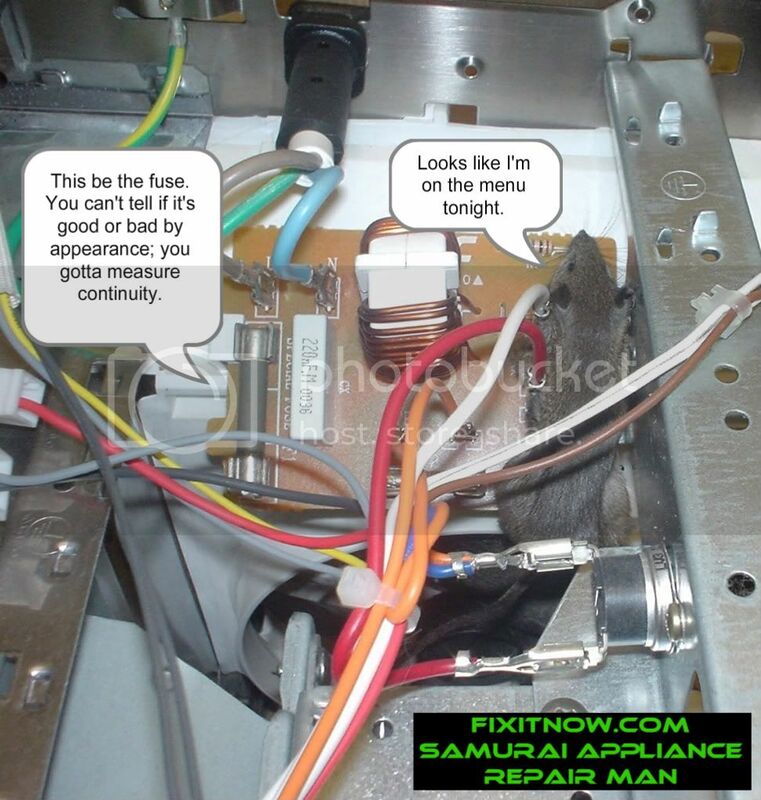 This entry was posted in Microwave Ovens on August 29, 2004 by Samurai Appliance Repair Man.